We welcome foreign students who are interested to study mechanical engineering in Ukraine for 2019-2020 intake at engineering universities. WHERE TO STUDY MECHANICAL ENGINEERING IN UKRAINE? Mechanical engineering is one of the most popular engineering program among national and international students. 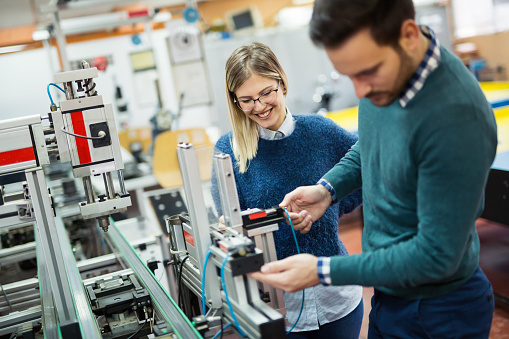 Mechanical engineering program is taught at many state engineering universities in Ukraine by highly skilled teaching staff and with most modern techniques at equipped laboratories. At state technical universities many foreign students are studying from different countries and for 2019 also we are receiving applications. Why foreign students prefer Ukraine to study mechanical engineering,Yes it is because of quality of education and affordable fee structure.Living conditions are also very good for foreign students. Mechanical engineering graduates from Ukraine may work in any country of the world because Ukrainian technical degrees are well recognized globally. Any foreign or national student who has secondary school certificate may qualify for the admission at one of the national engineering university in Ukraine for his/her mechanical engineering degree program. Masters applicants are required to already have bachelor degree in mechanical engineering. At national technical universities in Ukraine mechanical engineering degree is taught on bachelor and masters level. Masters degree consists of 2 years at mechanical engineering faculty in Ukraine. Foreign students are welcomed at national engineering universities in Ukraine for their desired degree level but with required qualification. Mechanical engineering course is taught in both languages Russian and English. Foreign students who has good knowledge of English language join their mechanical engineering degree program directly in English medium of instructions and these students are normally from India,Pakistan,Nigeria,Ghana,Namibia,Cameroon,Zimbabwe and Zambia. Many foreign students come from the countries where national spoken and official languages are French or Arabic so these foreign students study at foundation faculty for the first year and join their degree program after completing their 10 Months Russian language program with science subject at any national university in Ukraine. These students normally come from Morocco,Algeria,Egypt,Tunis,Guinea,Angola etc etc. In any case choice for language remains with student and he/she may choose himself/herself medium of instructions for his/her mechanical engineering degree program. All foreign students scan their secondary school certificate copy with travel passport for eligibility assessment. For admission into masters in mechanical engineering applicants must scan their bachelor degree copy too earned from Ukraine or abroad. This process takes 1-2 days and admission staff notify the applicants by Email for their admission possibilities. Eligible applicants send their admission fee and admission office forward their admission documents to the Ministry of Education,Ukraine.Ministry of Education,Ukraine process the official study invitation within 2 weeks of time and this invitation is sent to the applicant for his/her visa process. Ukraine study visa is issued to foreign students without physical appearance at Embassy of Ukraine. Ukraine has opened its national visa centers in almost all countries and all foreign students submit their visa file at visa center and collect their visas from that same visa center. For visa centers information may write us anytime. Interested international students may contact us anytime for their 2019-2020 admission process at national technical universities in Ukraine.